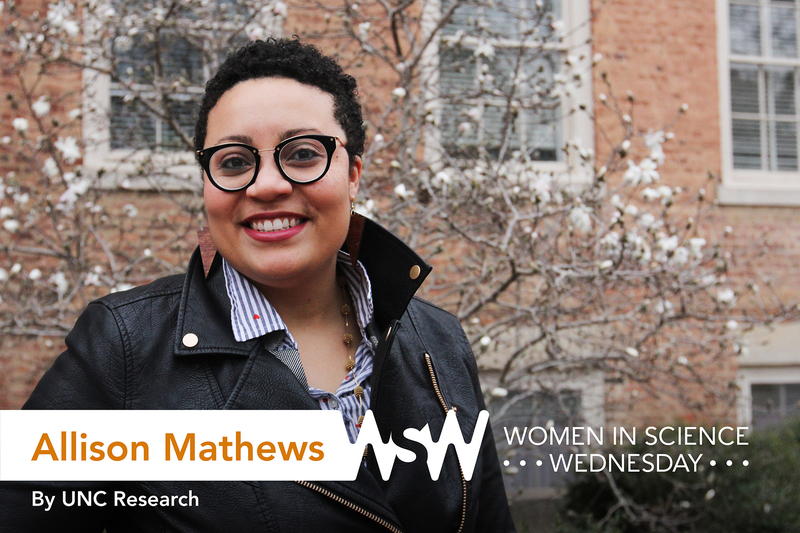 Allison Mathews is a postdoctoral fellow in the Department of Social Medicine within the UNC Institute for Global Health and Infectious Diseases. 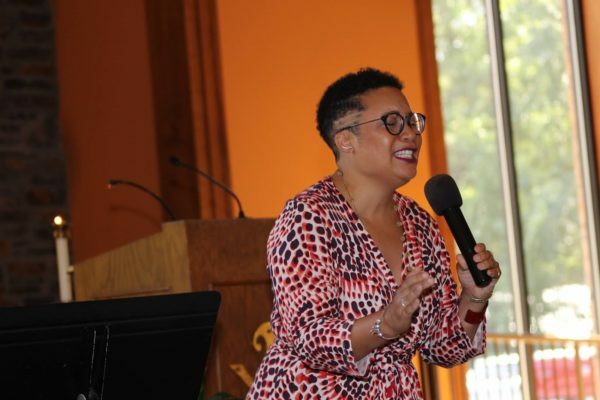 Her research focuses on the use of crowdsourcing to learn how to better engage communities about the social and ethical implications of HIV cure clinical trials, HIV testing, and other health services. For a long time, I wanted to be an opera singer. I grew up in a musical family — my mother and brother are classically trained, professional pianists and my father and I sing. I was involved in church and city choirs, in addition to acting in musicals and singing jazz. My sophomore year in high school, we had just finished a convocation ceremony and were returning to our classes when my friends and I saw flyers posted throughout the school threatening the lives of students of color and telling us to go back to where we came from or die. To say the least, I was devastated and scared — but, most of all, disappointed because the school administration was choosing to keep the incident silent rather than address it directly. My friends and I staged a sit-in outside the principal’s office and demanded she address this blatant act of racism and threat of safety to students of color in the school. A few days later, I was asked to speak at an assembly to the entire school. I told them how my parents rushed to the school, wiped away my tears, and insisted that, “like Rosa Parks, you go back to class and show everyone that you deserve to be in this school like everyone else.” I was shaking. I was angry. I was scared. But more than anything, I was empowered as the school gave me a standing ovation for my speech. At that point, I knew that my life’s work would be dedicated to fighting discrimination and injustice. Mathews singing at Holy Cross Catholic Church in Durham. Researchers are problem-solvers. Tell us about a time you encountered a tricky problem. How did you handle it and what did you learn from it? As a postdoc, I started the 2BeatHIV project, which uses crowdsourcing contests to engage the public in helping solve some critical problems related to HIV cure research and HIV testing. People often reach out to us for help on social media. One man in particular really inspired me to find more formalized ways to help people living with HIV beyond just research. He was a veteran who had been living with the virus without medication for two years. His CD4 count was dangerously low and he asked us for help. We went through the entire process of getting him plugged into free treatment from beginning to end and realized how arduous a process it was. He was in temporary housing, unemployed, and without transportation — and did not know how to navigate the health care system. The experience inspired me to start a consulting company called Community Expert Solutions, where we help community members develop their ideas into revenue-generating projects that solve health problems. The first project we’re working on is called Digital LinCS, which is an online case management system that automatically matches people to medication assistance programs, completes the applications on their behalf, and connects them to service providers who can more easily manage their health. What are your passions outside of science? I’m really passionate about music. I love going to local concerts and festivals and learning about underground and indie artists. If I’m not working, you can find out me outside at a concert dancing and singing along to the lyrics! Creative outlets help me cope with stress and express myself. It’s important to have a work-life balance. I find it important to be intentional about pursuing passions outside of work because they keep you connected to real people and may even inspire your next big idea. Women in Science Wednesday highlights UNC researchers at all levels of their careers across dozens of fields. From nursing to economics to computer science, women at Carolina excel in research, mentorship, and advocacy. Click here to nominate an exceptional scientist. This entry was posted in Health, Society, Women in Science Wednesdays. Bookmark the permalink.